Regesta.exe is an Italian SME specialized in shared web Multimedia Archives and Linked Data Technologies that provides services in the Cultural Heritage sector. The ITC company was founded in 1996 by of a team which was involved in two projects concerning the use of innovative technologies for Cultural Heritage. The two projects were carried out for the historical archives of IRI (Industrial Rebuilding Institute) and the photo and audiovisual archives of LUCE Institute. 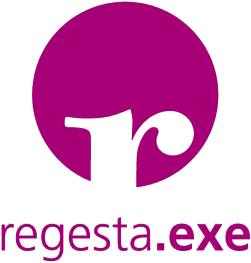 Since 1996 regesta.exe provides any type of institution with services and tools, allowing to create, manage, retrieve, access and share online every culture heritage information. Interoperability, portability, modularity, web-based technologies, cloud-services: these are the standards and guidelines that were followed in the “Digital Archives & Memory Storage” project. This project was developed between 2002 and 2004 by regesta.exe in collaboration with the Archivio di Stato di Napoli, within the framework of the Ten Telecom European programme. This experience gave birth to the web-based xDams platform. In 2012 was released as open source. Since 2008 regesta has been investing in research on tools for semantic web and Linked Data technologiesachieving appreciated references and skills in this field managing large LOD repositories and automating LOD’s production processes and publications from legacy systems. In 2011 was created the complete catalogue of digital data and documents in Linked Open Data for the Italian Chamber of Deputies, in 2012 ReLoad(Repository for Linked open archival data), a project that fosters experimentation with technology and methods of linked open data for archival resources. In 2015 Open Memory Project, a Linked Data Web Portal to publish and access resources on the History of the Jews and the Shoah in Italy, realized by regesta.exe, won the Grand Prize at international LODLAM challenge, the competition among projects highlighting data visualizations, tools, mashups, meshups, and all types of use cases for Linked Open Data in Libraries, Archives, and Museums; in 2017 is organizing and promoting with Europeana the Fourth International Linked Open Data in Libraries, Archives and Museum (LODLAM Summit 2017), helding this year in Venice at the Fondazione Cini on 28-29 June. regesta.exe is providing XML dataset from CDEC historical archives to European Holocaust Research Infrastructure (EHRI). regesta.exe is the technological partner for the Music up project.